This process requires an existing Microsoft account with VSTS or Azure DevOps git projects. On the following screen, select Visual Studio Team Services (VSTS). If you are using Azure DevOps, select it from the list instead. Click Next. Login to your Microsoft account, if prompted. The permissions screen is displayed. Click Accept to authorize access for Git for Jira Cloud. 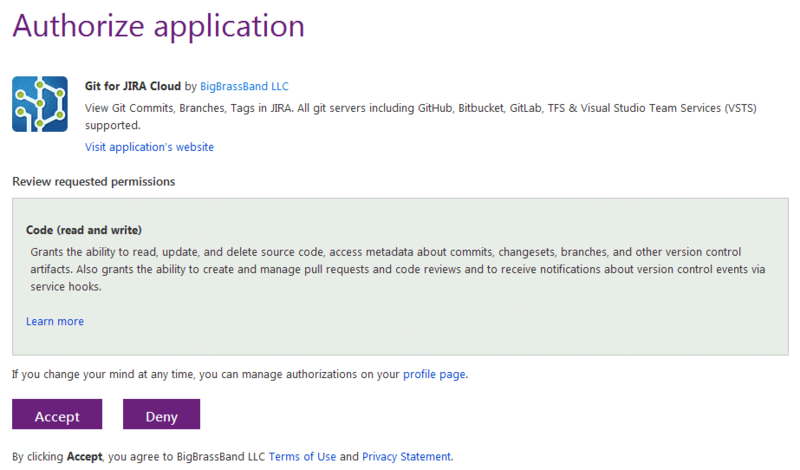 Repositories of the logged in Microsoft user can be automatically connected to Jira Cloud. Repositories that are added or removed from VSTS/Azure DevOps will be likewise connected or disconnected from Jira Cloud. Click Connect. For now, only git projects are supported from VSTS/Azure DevOps. The Git Integration for Jira app automatically configures web linking for VSTS/Azure DevOps git repositories. Webhooks are supported on VSTS/Azure DevOps. You can setup a webhook via Git menu > Manage Git Repositories then click Webhooks. Enable it to use this feature. It will trigger immediate index of repositories but will index all of them. This process requires a VSTS or Azure DevOps git repository. On your web browser, login to your VSTS or Azure DevOps account then go to your working repository. 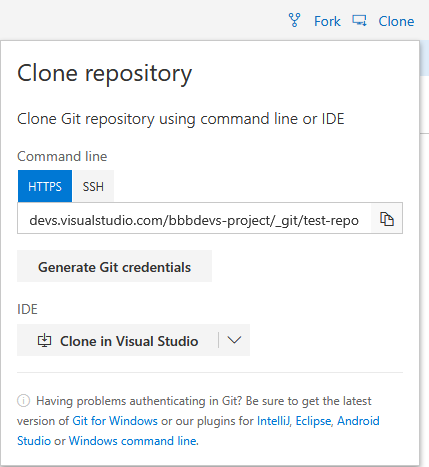 Clone this repository into your Visual Studio IDE. ... or update your local repository files by performing a Pull action via VS IDE > Team Explorer. Create or modify a file from your local repository. 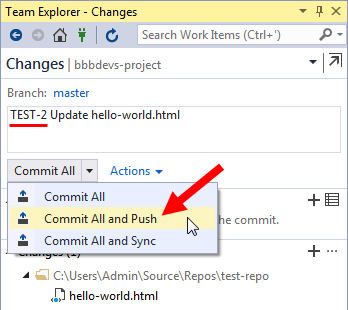 Perform a commit of the changes via Team Explorer > Changes. Enter the commit message by mentioning the Jira issue key to which this commit will be associated. (Underlined in red). 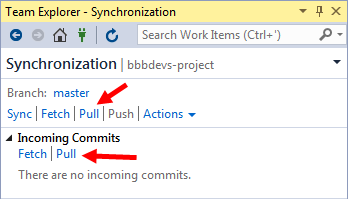 Click the dropdown on the Commit All button then select Commit All and Push. The commit is now displayed in the specified Jira issue. This process requires a VSTS or Azure DevOps git repository AND a PAT with at least Code (read and write) scope. On your Jira Cloud, open a Jira issue. 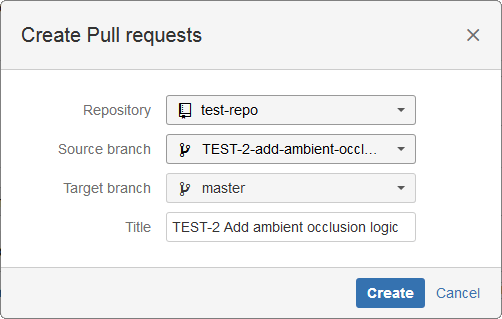 On the Jira developer panel under Git Commits, click Create Branch. On your VS IDE, go to Team Explorer and perform a Pull action. This will update your local repository with a new branch list. Go to Team Explorer > Branches. Under Active Repositories, expand the remote/origin folder view. Right click the new branch then select Checkout. The new branch will be listed in the active repositories list. 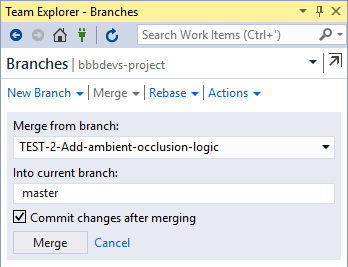 Make changes to a file to prepare it for commit and branch merge. Add the Jira issue key to the commit message. (Underlined in red). This will associate the commit to the mentioned Jira issue key. The commit is pushed to the new branch and is now ready for merge. 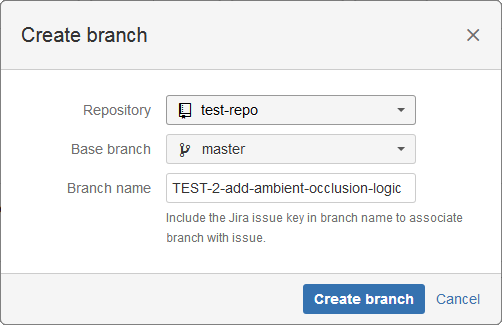 On your Jira Cloud, open the Jira issue where your previously created a branch. On the developer panel under Git Commits, click Create Pull Request. Click Create to create the pull request. The pull request is listed on the developer panel of the Jira issue page. 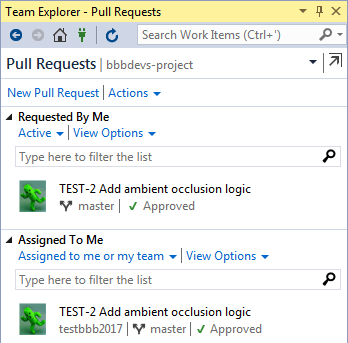 The pull request is also ready for approval by the reviewers in your VSTS or Azure DevOps web portal. 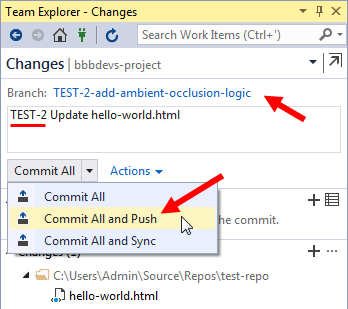 On the Team Explorer, update your local repository by performing a Pull action. The pending pull request items are displayed here. Pull requests requires the approval of the reviewers before it can be merged from the VS IDE. Go to Branches. Click Merge. Set the source to the branch to which you pushed the commits. The reviewer's approval is required to completely merge the pull request. This usually takes place in the VSTS or Azure DevOps portal where your updated code is being reviewed.